Wordless Wednesday on a Thursday - Jill Ruth & Co.
Great photo!! Nothing better in the summer than fresh corn on the cob! What a sweetie and she's munching my favorite summer food!! Mmm. 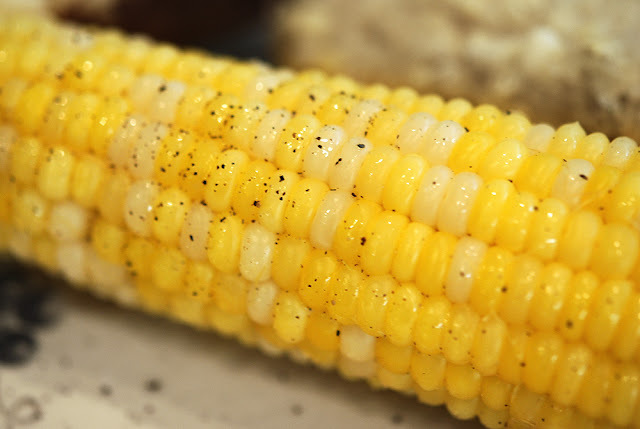 Corn on the cob is so delicious. Oh man... that looks SOoooooooooo good!!! She's so beautiful! We have been raiding Dad's patch.....who needs anything else to eat this time of year!! You had me at the first photo. 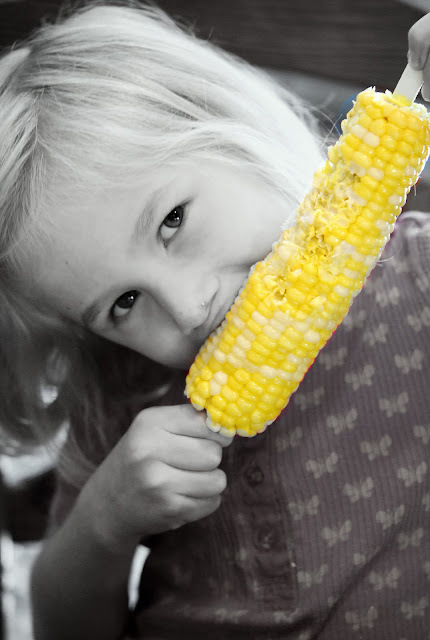 Your daughter upstaged the corn in the second photo. ha! She's a cutie! Super photos. Ok now I need to get home and eat some corn.....again. The Table Runners Live On!